Environmental Services | Aquabio Environmental Technologies, Inc.
Natural solutions for man-made situations have been utilized in Europe and Asia for years. In the US, only now are the political, social and industrial climates changing with the realization that chemical and mechanical approaches create additional long-term issues with added regulatory pressure. 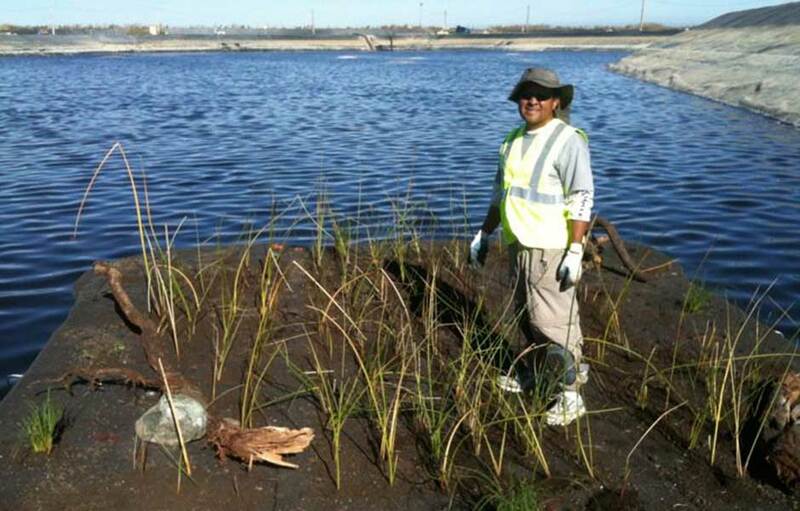 Under the premise Helping Nature Heal Itself™ at AquaBio we focus services, products, and technologies – utilizing nature’s ability to assist the remediation process. We strive to achieve outcomes that are responsible, sustainable, cost effective with reduced regulatory pressure. We are lab and field tested. 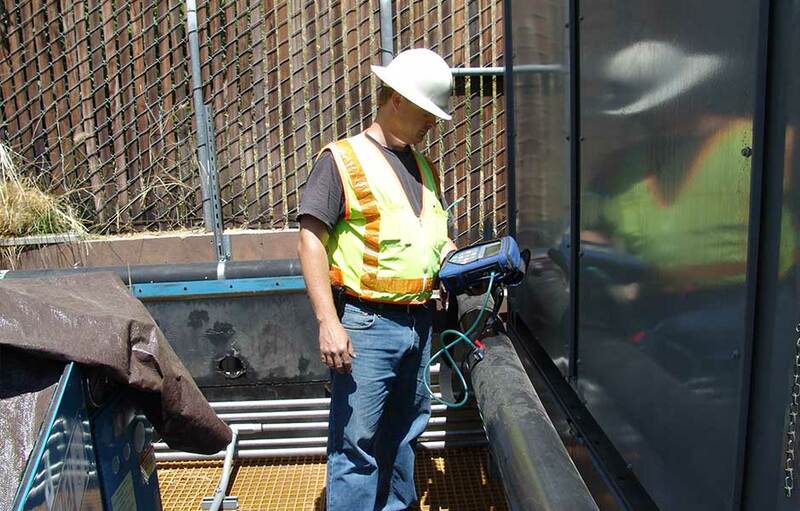 AquaBio has been at the forefront of pollution remediation since 1987. 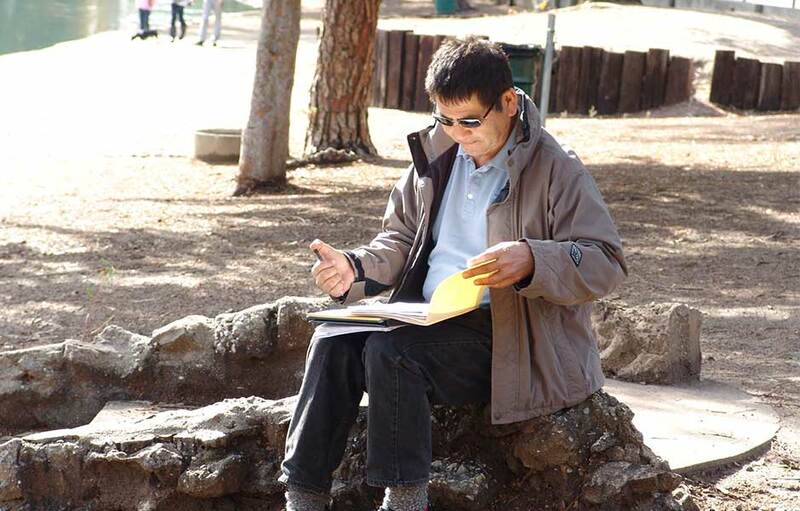 Our technologists, staff and field personnel have built a reputation for integrity and success. Field experience and close relationships with our vendors, manufacturers and clients have resulted in the quality products we make available. 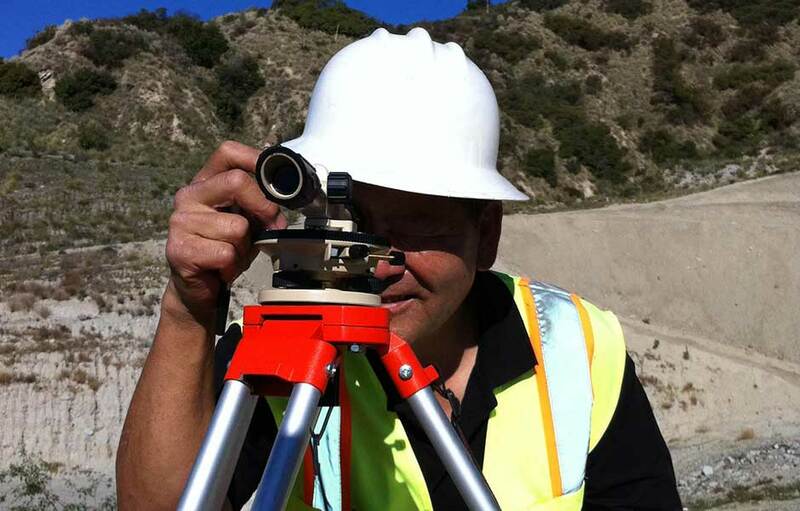 AquaBio’s Dennis Hayashi checking landfill gas pipe grade with transit, Burbank, California. 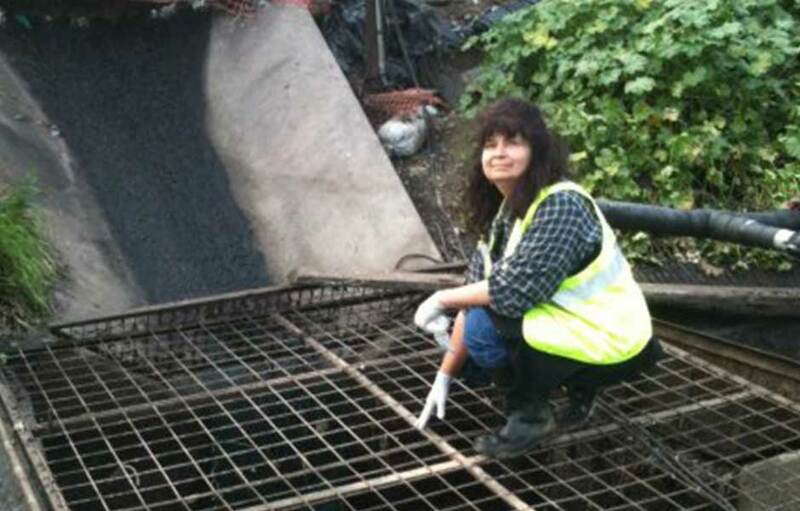 DeAna Vitela-Hayashi inspects landfill leachate sump after additional substrate for microbial degraders has been installed, Northern California. 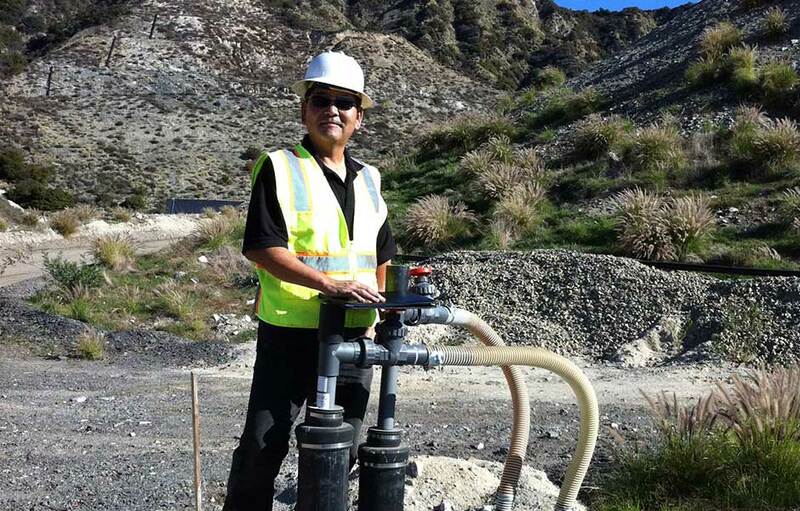 Dennis Hayashi inspecting newly installed landfill gas collection and monitoring equipment. 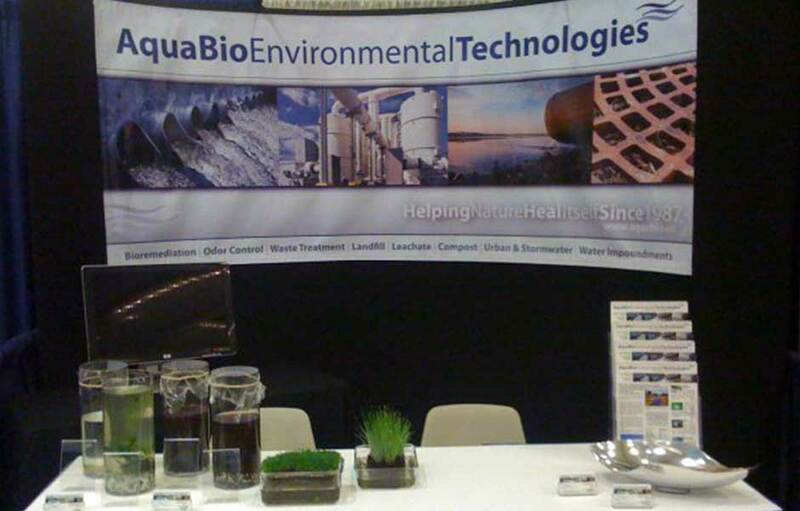 AquaBio Environmental Technologies vendor booth WasteCon, Long Beach, California.